Juggling is an important part of any players training at the younger age, spending time with the ball builds confidence, a great first touch, rhythm, balance, control, focus, foot-eye co-ordination, and makes you feel at one with the ball. Most people will tell you the most important aspect of the game is a great first touch, juggling will give you thousands of touches on the ball to get your co-ordination and soft touch on the ball, allowing you then to take the next step in the game, wether it be a pass, dribble shot or cross. Click the link below to enter your personal best Juggling score, if your name is missing from the sheet add your name and juggling record. We want to create a competitive and fun environment for the players for the team juggling record. Please show your son/daughter this page so they can go in and change their record once they have improved their score. Kick the ball with your right foot as high as you can. Kick the ball with your left foot as high as you can. Punt the ball with your right foot as far as you can to a partner up the field. Punt the ball with your left foot as far as you can to a partner up the field. Kick the ball with your right foot off the bounce as high as you can. Kick the ball with your left foot off the bounce as high as you can. Kick the ball with your foot 3-4 feet in the air and catch. Alternate your right and left foot. Play the ball with your thigh 1-2 feet in the air and catch. Alternate your right and left foot. See how high you can scoop the ball up in the air. Scoop the ball to a partner. Kick the ball with your right foot 3-4 feet in the air and catch. Do this five times in a row. Head the ball straight up and catch. Juggle the ball with your feet twice in a row and catch. Juggle the ball with your thigh twice in a row and catch. Juggle the ball with your head twice in a row and catch. Juggle with your thigh then to your foot and catch. Throw the ball up in the air and juggle from your head to your thigh to your foot, catch. Juggle the ball three times in a row. Kick the ball with the inside of your foot and catch. Juggle the ball with your feet 3 times in a row. Juggle the ball with your thighs 3 times in a row. Juggle the ball with your head 3 times in a row. Punt the ball in the air with your right foot and catch it. Do the same only with your left foot. Juggle the ball twice with the thigh then twice with your feet. Juggle the ball from your foot to your thigh and back down to your foot. On a bouncing surface juggle the ball and let it bounce in between each juggle. Do this 5 times in a row. Juggle with your foot and catch. Do this 10 times in a row. Juggle with your head and catch. Do this 10 times in a row. Juggle with your thigh and catch. Do this 10 times in a row. Juggle the ball with your feet 5 times in a row. Juggle the ball with your thighs 4 times in a row. Juggle the ball with your head down to your thigh then down to your foot. Kick the ball over your head and behind you then kick it again with your foot then catch. Juggle the ball with the inside of your foot twice in a row. On a bouncing surface juggle the ball and let it bounce in between each juggle. Do this 10 times in a row. Kick the ball over your head at least then juggle it with your thigh and back down to your foot. Juggle the ball from your head to your shoulder. Juggle the ball with your head then your shoulder then catch. Juggle the ball with your feet 25 times in a row. Juggle the ball with your thighs 10 times in a row. Juggle the ball with your head 10 times in a row. Right foot, right thigh, left thigh, left foot. Continue around twice or 8 touches. Juggle the ball twice in a row with your left foot then twice in a row with your right foot. Juggle the ball with you head, then shoulder, then head and catch. Pick the ball up with your feet and juggle 5 times. Juggle the ball above your head 5 times in a row. Juggle the ball with your left thigh 2 times in a row then your right thigh 2 times in a row. 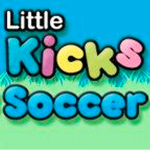 Pinch the ball between your feet and hop to pick the ball up and juggle 5 times. Juggle the ball with your feet 50 times in a row. Juggle the ball with your thighs 25 times in a row. Juggle the ball with your head 25 times in a row. Juggle the ball with your left foot 2 times in a row then your right foot 2 times in a row. Continue until you reach 6 times without dropping ball or 24 touches. Juggle the ball twice with your head then your shoulder and back up to your head twice and catch. Right foot, right thigh, left thigh, left foot. Continue around 5 times or 20 touches. Place sole of foot on ball, roll ball back and quickly move foot underneath ball to pop it up, juggle. Place ball between feet and quickly pinch feet together to pick ball up and juggle. Place foot behind ball and scoop ball up and juggle. Juggle the ball with your left thigh 2 times in a row then your right thigh 2 times in a row. Continue until you reach 6 times without dropping ball or 24 touches. Juggle ball with inside of foot alternating left and right foot for 6 times in a row. Juggle ball with head high and then low continue for 2 times in a row or 4 touches. Place sole of foot on ball, roll ball back onto opposite foot and pick ball up by hopping and juggle. Juggle the ball with your feet 100 times in a row. Juggle the ball with your thighs 50 times in a row. Juggle the ball with your head 50 times in a row. Juggle the ball with your feet twice the right and twice with the left continue until you reach 10 times in a row without dropping ball or 40 touches. Head the ball then shoulder then head. Continue until you reach 5 in a row. Right foot, right thigh, left thigh, left foot continue until you reach 10 times in a row without dropping ball or 40 touches. Roll the ball back, and then scoop it up with the outside of your foot. Pinch ball between ankles, roll ball up by lifting right foot, toe the ball down toward the ground, turn and juggle off the bounce. Place right foot beside ball, with heel of left foot hit ball against right foot, ball will pop up, juggle. Pinch ball in between ankles, roll ball up left leg by lifting right foot, pivot quickly on left to juggle ball. Juggle outside of foot 5 consecutive times. Complete with the other foot as well. Head foot, head foot, etc. Continue until you reach 10. Juggle the ball with your feet 250 times in a row. Juggle the ball with your thighs 150 times in a row. Juggle the ball with your head 100 times in a row. Juggle the ball over and behind head, juggle twice then repeat until you execute the skill 4 times in a row. Use both feet. Juggle the ball with your head, shoulder, head for 6 times in a row. Juggle the ball with the outside of right foot then inside of right foot then outside of left foot then inside of left foot. Juggle the ball with thighs for 10 times without looking at the ball, look straight ahead. Right foot, right thigh, head, left thigh, left foot. Repeat going the opposite way. Juggle with heel for 3 times in a row, repeat with other foot. 5 small juggles with the right foot. Repeat with the left foot. Hold Ball on Foot for 10 Sec. Pick up ball with foot and balance without ball resting on shin for 10 sec. Repeat with opposite foot. Juggle the ball 20 times while sitting on the ground. Juggle the ball with your feet 500 times in a row. Juggle the ball with your thighs 300 times in a row. Juggle the ball with your head 200 times in a row. Right foot, right thigh, head, left thigh, left foot. Continue for times in a row. Repeat going the opposite way. Catch the ball with instep after several juggles and hold for 10 seconds. Complete with both feet. Juggle the ball 5 times in a row with your heel. 10 small juggles with the right foot. Repeat with the left foot. Roll ball back with sole, lift ball up with foot, quickly hit ball back down with knee and juggle off bounce. Pinch ball between feet, roll ball up with right foot and quickly hit ball towards ground with heel, juggle off the bounce. Juggle around 4 cones and shoot off the volley. Ball does not touch the ground. Juggle ball through a narrow lane and then volley. Ball does not touch the ground. Juggle ball out of air from a cross and then volley. Ball does not touch the ground. Juggle the ball in a full circle in 7 touches. Once complete, turn the other way. Right foot, right thigh, right shoulder, head, left shoulder, left thigh, left foot. Repeat the opposite way. Put inside spin on ball with feet for 5 touches in a row, repeat with other foot. Put outside spin on ball with feet for 5 touches in a row, repeat with other foot. Juggle with both feet without any spin on the ball. While juggling with feet, move foot around the ball while ball is in the air and continue to juggle. Punt ball 20 yards in air, then foot, then thigh, then head, repeat. 25 small juggles with the right foot. Repeat with the left foot. Juggle with your feet only for 60 yards with out dropping. Juggle with your Head only for 60 yards with out dropping. Juggle with your thighs only for 60 yards with out dropping. Juggle once with the right foot, twice with the left foot, three times with the right foot, twice with the left foot, once with the right foot, etc. Juggle and catch ball on neck, flick ball up and repeat. Balance ball on head for 10 sec. 1 ball between 2 players, juggle with each other using feet only. 1 ball between 2 players, juggle with each other using feet only, 1-touch. 1 ball between 2 players, juggle with each other using feet only, 2-touch. 1 ball between 2 players, juggle with each other using head only, 1-touch. 1 ball between 2 players, juggle with each other using head only, 2-touch. 10 yards apart, 1 ball between 2 players, juggle with each other using all surfaces, no touch restrictions. 1 ball between 2 players, juggle with each other using all surfaces while running. 1 ball between 2 players, player calls out 1,2, or 3 and plays ball to partner, partner has only that number of touches to get ball back to partner and they call out new number, 1,2, or 3. If player drops ball, they get a strike, three strikes and you are out. 1 ball between 2 players, half-volleying the ball to each other. 3-5 yards away. 10 yards apart, 1 ball between 2 players, juggle with each other using all surfaces, 2-touch restriction. 10 yards apart, 1 ball between 2 players, juggle with each other using all surfaces, 3-touch restriction. 1 ball between 2 players, juggle with each other using feet only, left foot to right foot, to partner’s left foot, right foot, play back. Repeat the opposite way. 1 ball between 3 players, juggle with each other using feet only. 1 ball between 3 players, juggle with each other using feet only, 2-touch, keep ball below waist. 1 ball between 3 players, juggle with each other using feet only, 1-touch, keep ball below waist. 1 ball between 3 players, player calls out 1,2, or 3 and plays ball another player, player has only that number of touches to get ball back to another player and they call out new number, 1,2, or 3. If player drops ball, they get a strike, three strikes and you are out. 1 ball between 3 players, juggle with each other using head only, 1-touch. 1 ball between 3 players, juggle with each other using head only, 2-touch. 1 ball between 3 players, juggle with each other using all surfaces, a player takes 1-touch, next player takes 2-touches, next player takes 3-touches, next player takes 2-touches, etc. 2 players on outside, 1 player in the middle, 1 ball. Using head only, juggle short, short, then long, player in the middle turns and repeat. 2 players on outside, 1 player in the middle, 1 ball. Using head only, juggle short, short, then long, player in the middle switches with player who played long, continue. 1 ball between 3 players, juggle with each other using all surfaces while running. 10 yards apart, 1 ball between 3 players, juggle with each other using all surfaces, no touch restriction. 10 yards apart, 1 ball between 3 players, juggle with each other using all surfaces, 2-touch restriction.